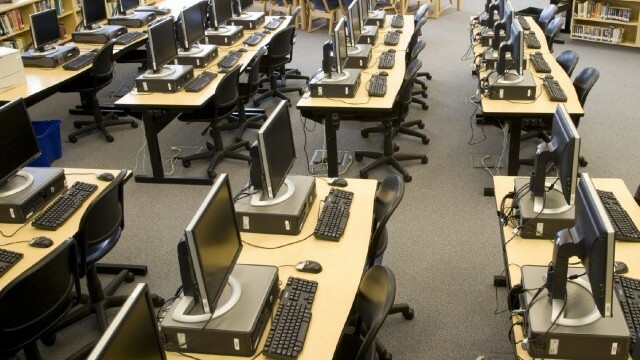 Is Online Education Widening the Digital Divide? Universities across the country are experimenting with MOOCs (massive open online courses) as a way to make higher education more affordable and accessible to all students. The premise of MOOCs has, to some, come to mean the democratization of quality higher education, a way of equalizing the playing field for students of every demographic. Aspirational as that may seem, it may not always be the outcome. “We ... continue to be concerned that folks might imagine they are getting an Ivy League education, when in fact, they are watching other people get an Ivy League education," says Lillian Taiz, president of the California Faculty Association and professor of history at California State Los Angeles. Several professors at San Jose State University began creating MOOCs in January, which students could take for credit. Peter Hadreas, professor and Philosophy Department Chair at San Jose State University, says when administrators asked his department to replace lectures in an ethics class with a Harvard MOOC, faculty saw some questionable race and class implications. "We’ve got this strange sort of upstairs/downstairs situation where the lower-class people could look at how the upper-class people were being educated." After watching the online Justice course, taught by Harvard Professor Michael Sandel, the philosophy faculty collectively wrote an open letter in protest. Their bottom line: it would be insulting to force diverse state university students to watch an Ivy League professor lecture to his affluent class. Hadreas said advocates of using MOOCs at state schools also pay short shrift to the “digital divide” between different races and classes of students. Early into a San Jose State and Udacity pilot project that developed MOOCs for college credit, instructors realized some high school participants didn’t have computers. The problem stems from the idea that, with MOOC courses, one size can fit all, Taiz says. In order for teaching to be effective, she says, it needs to reflect their diverse backgrounds and experiences.